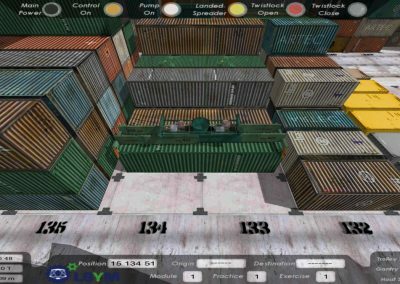 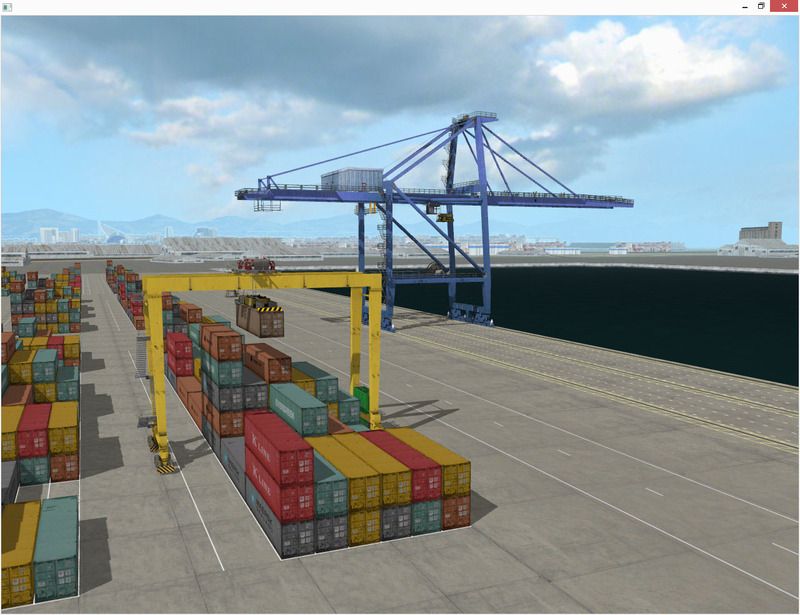 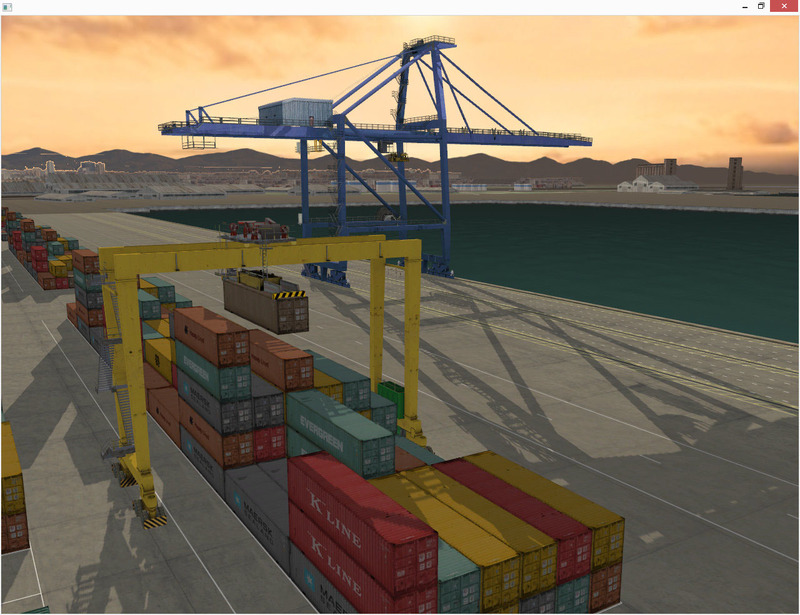 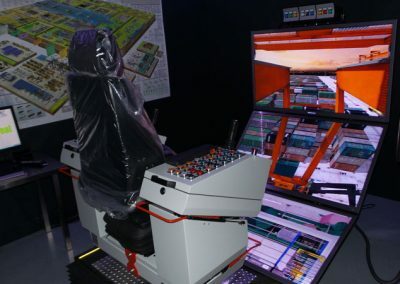 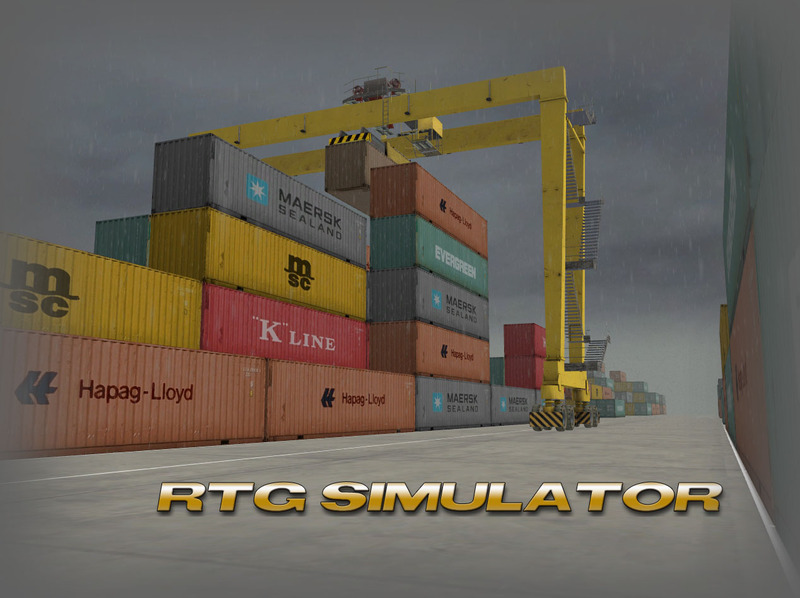 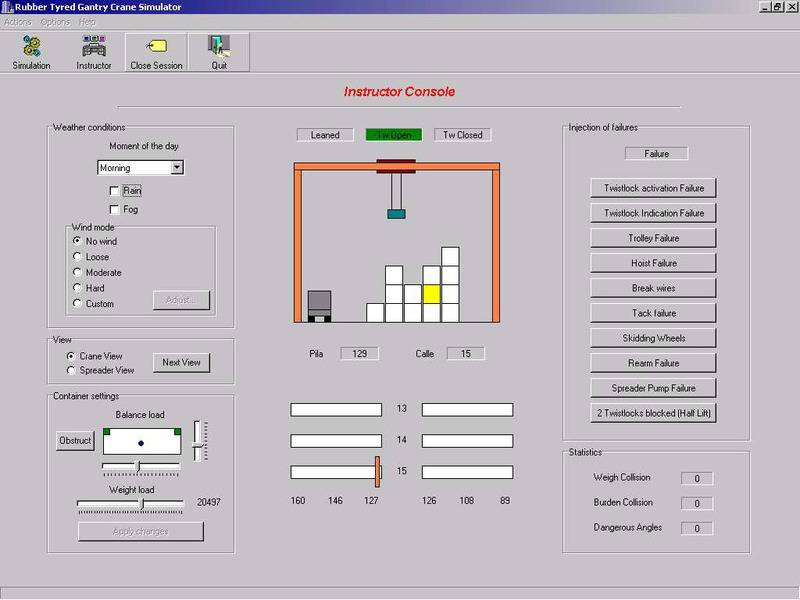 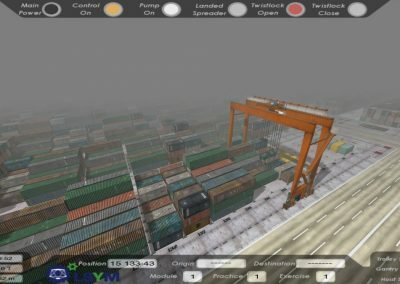 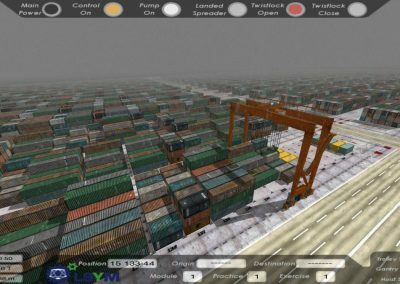 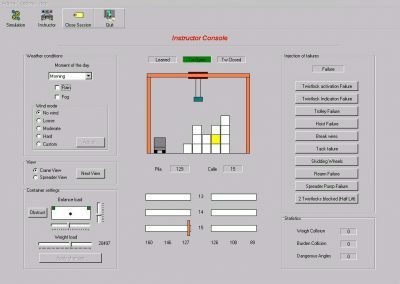 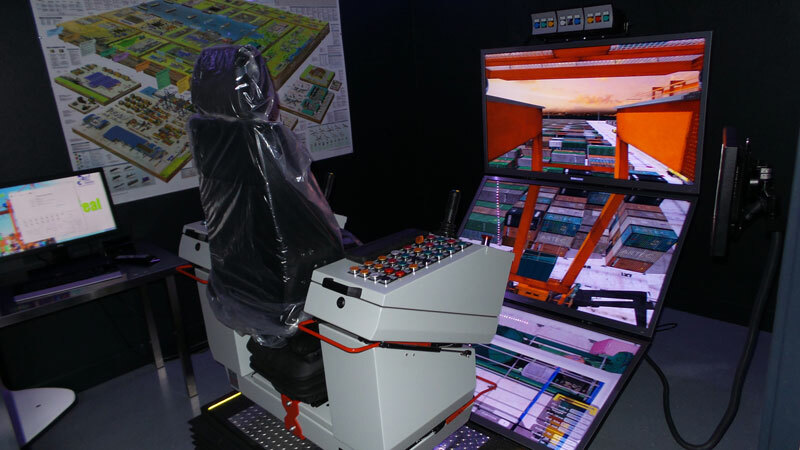 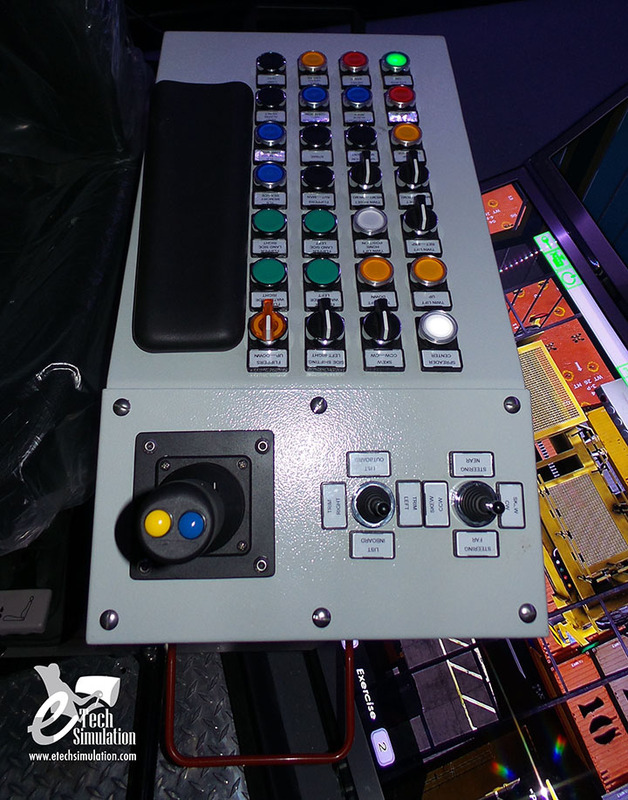 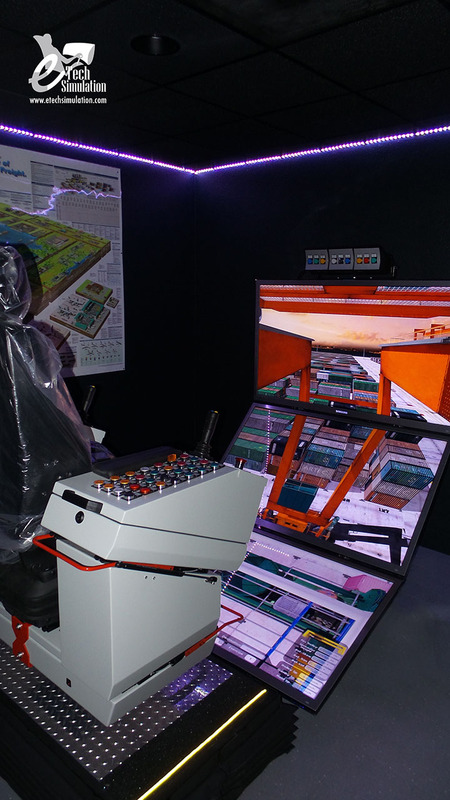 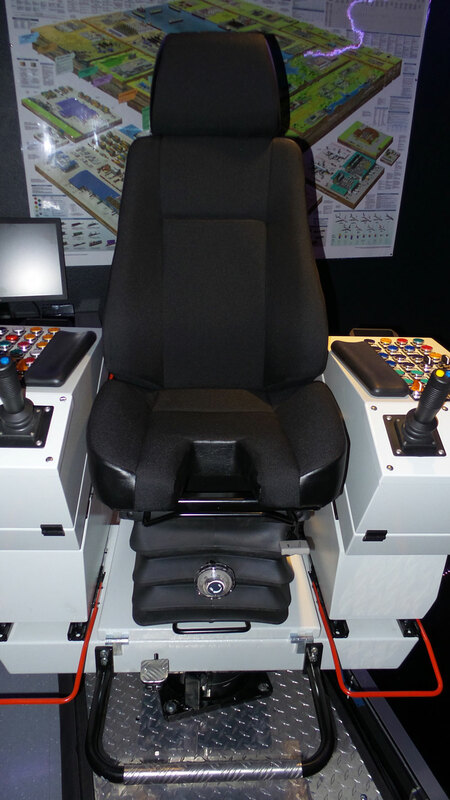 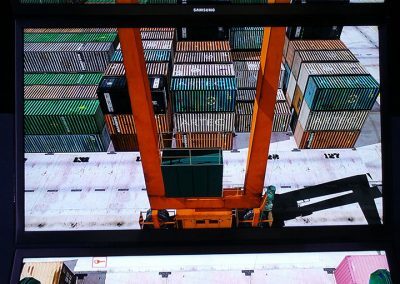 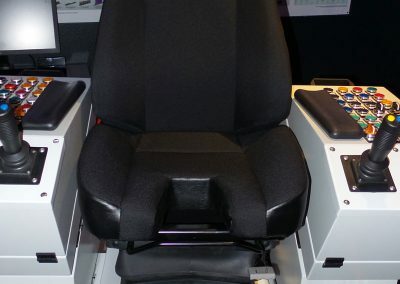 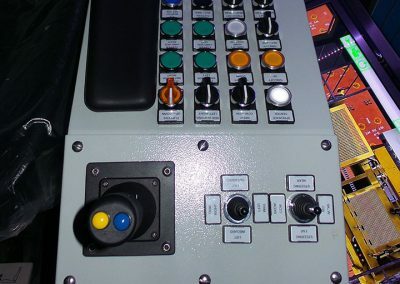 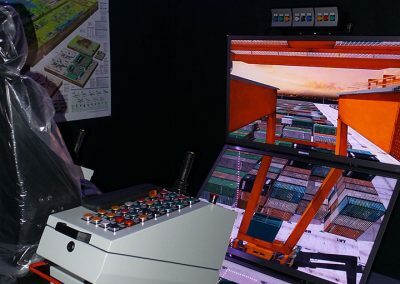 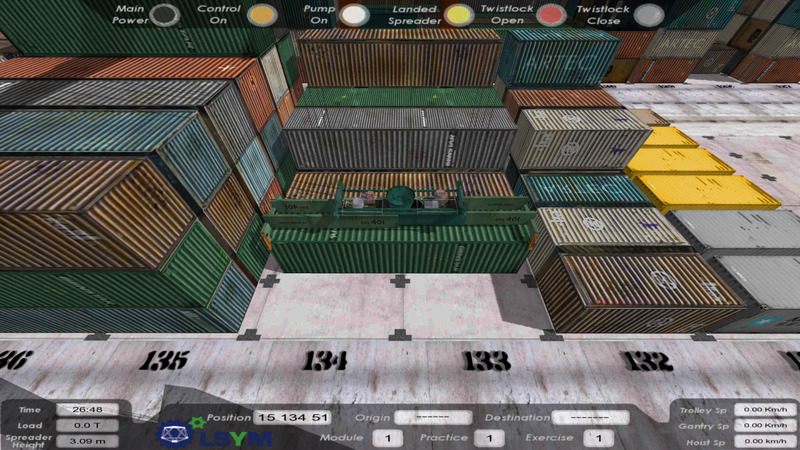 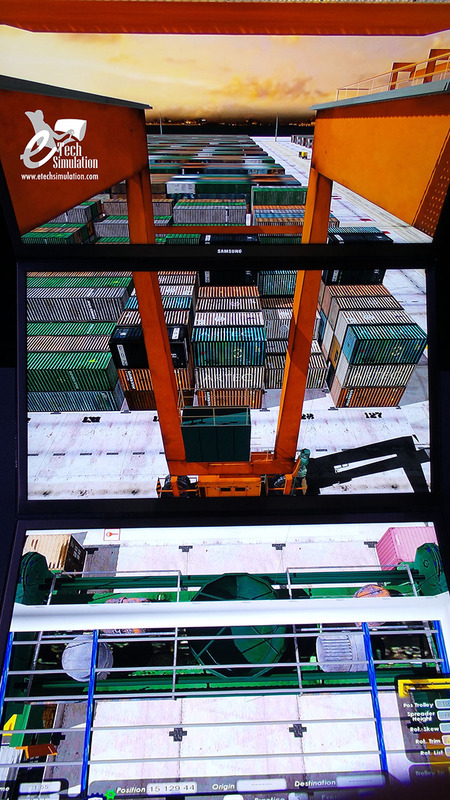 e-Tech´s RTG Crane Simulator is an essential tool used to simulate the manipulation of containers inside a port terminal. 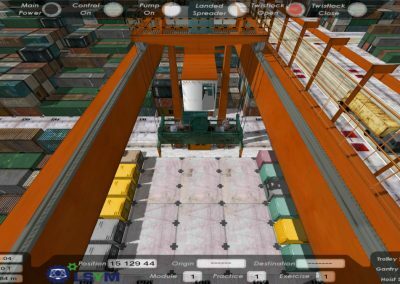 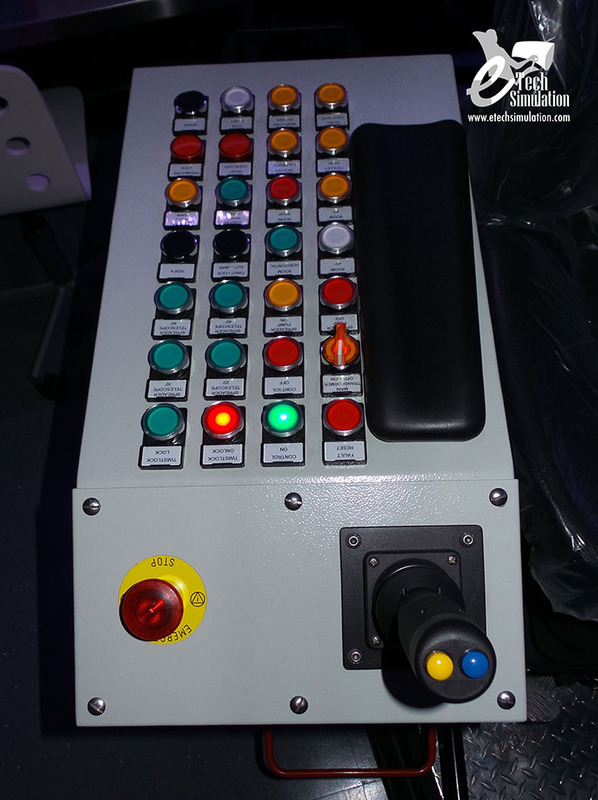 Our simulator recreates a real life crane with wheels allowing the movement of load from one side to another in a horizontal path. 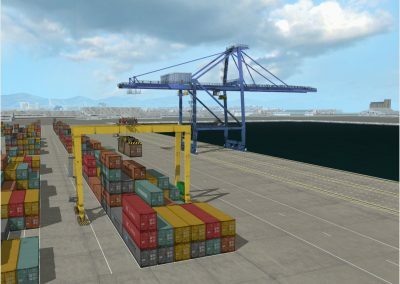 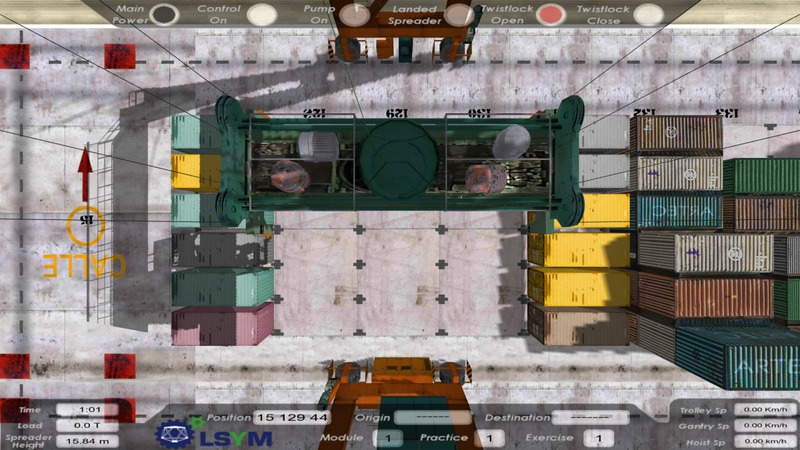 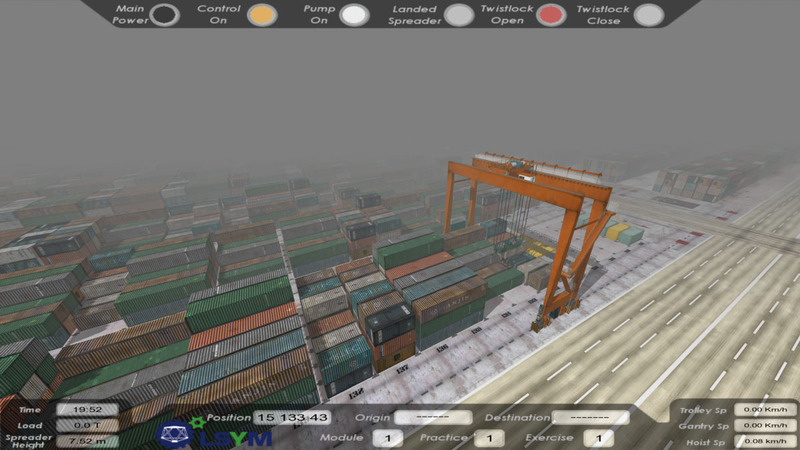 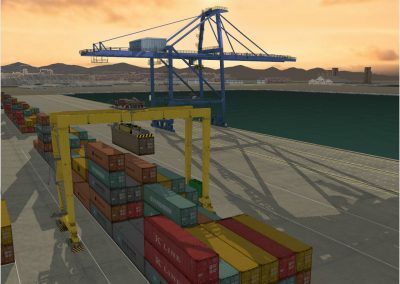 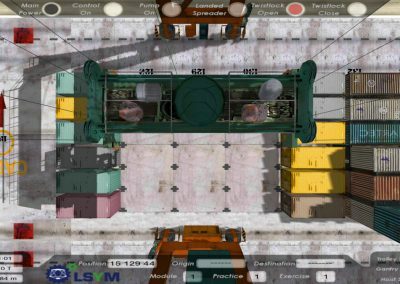 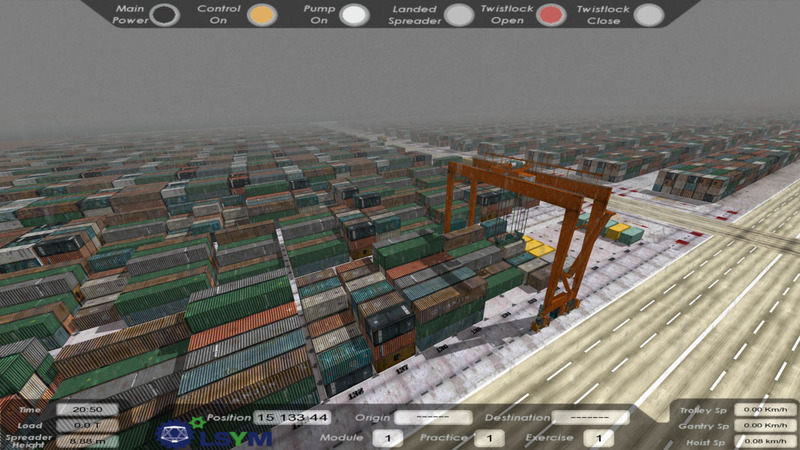 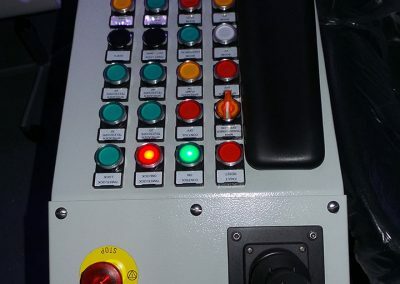 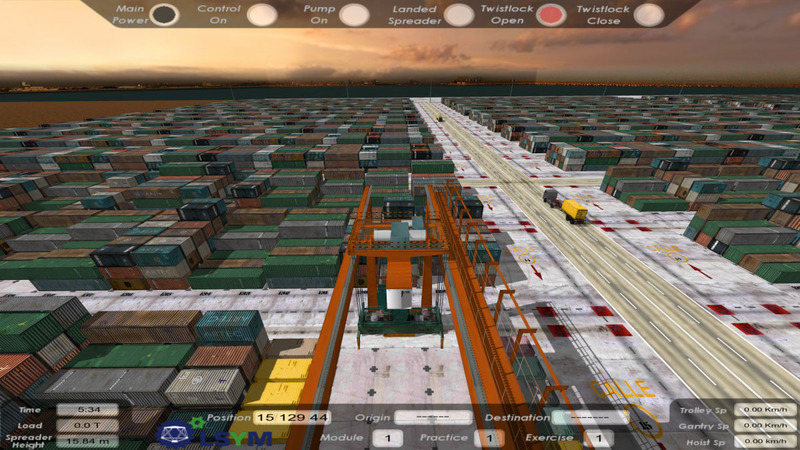 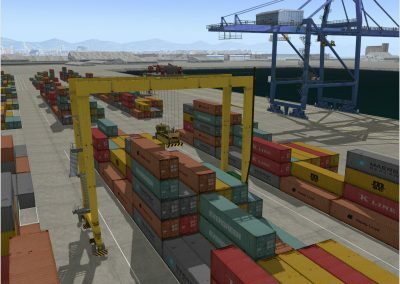 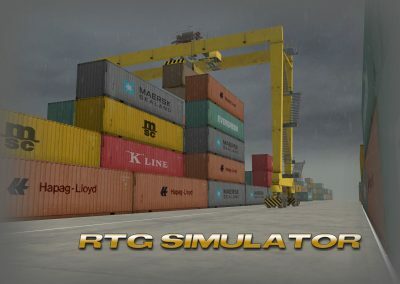 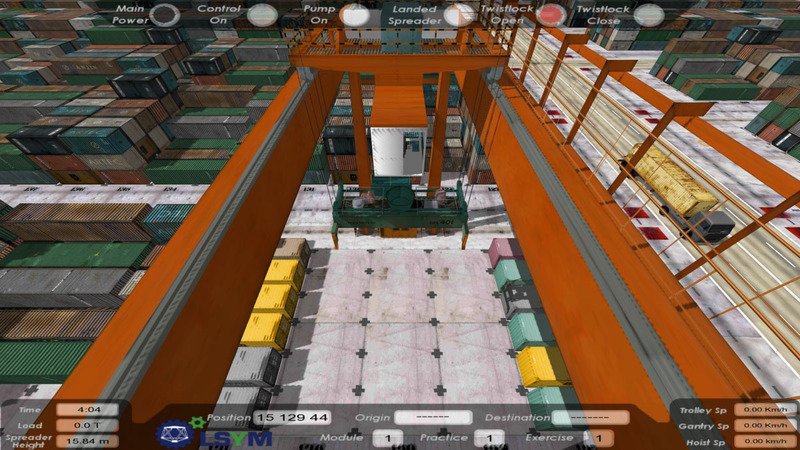 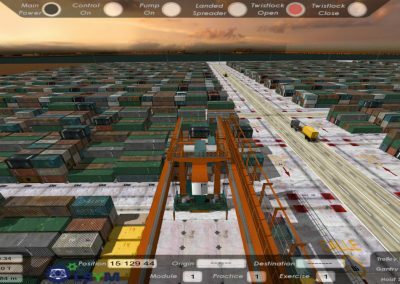 The simulator recreates all the real life difficulties associated to the containers movement, adding the possibility of moving the crane through the streets inside the port, where the trainee must pay attention to the existing truck traffic inside the terminal.It´s possible to change the crane´s parameters in order to recreate different types of cranes as well as their technical features.